Thanksgiving is the time to be grateful but also to have fun. Eating too much on Thanksgiving Day is a well known tradition, why not start a new tradition, exchanging funny Thanksgiving quotes? 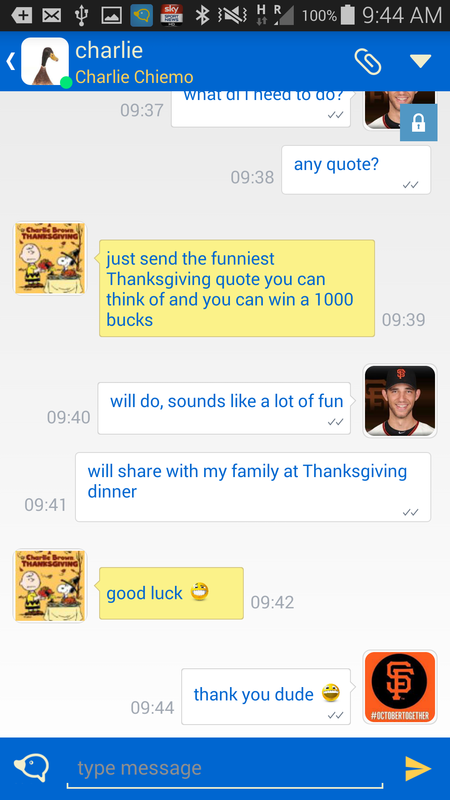 We have decided to launch the beta (Bambino) release of the Chiemo Social Messenger together with the “Funniest Thanksgiving Quote Competition 2014”. The winner will get 1000 bucks, runner-up 500, 3rd 200 and the next three 100 to buy more gravy for the turkey fest. All you need to do is download the Chiemo Social Messenger from the Google Play app store, search for user happyturkey and send a funny Thanksgiving quote. The Best “Funniest Thanksgiving Quote” Selection Committee consists of 6 members, ages ranking from 22 to 67, half male and half female. Only selection criteria: smiles and even more smiles – nothing offensive – Thanksgiving is a positive day, no outlet to put anyone down. You might have noticed by now – Chiemo is different. We very much put – YOU – the users in the middle of our universe. You will see many fun features linking and sharing and liking and disliking to Social Networking services going forward. WhatsApp just celebrated their 5th anniversary, 600 million users and a paycheck of 19 Billion Dollars. Congratulations. WhatsApp and Chiemo have very different approaches how to provide users the best possible user experience – this makes Chiemo a viable WhatsApp alternative. Chiemo believes in always free, guaranteed absolute privacy (no Big Data, no “Business Intelligence” applied to analyze user behavior), optional security levels, multi-device support (that’s why we require user profiles, but you can also log in with your Social Networking credentials), rock solid back-end infrastructure (always on) and last but not least an API that allows service providers to develop opt-in subscription services. Although Charlie the Chiemo duck (our logo and mascot) is not a turkey we are grateful and thankful that Thanksgiving and the Chiemo Bambino release coincide, and we are thrilled to be able to share some funny quotes with you the day before Thanksgiving. Participate – enjoy – win! Chiemo me u::happyturkey Check it out. Happy Thanksgiving. 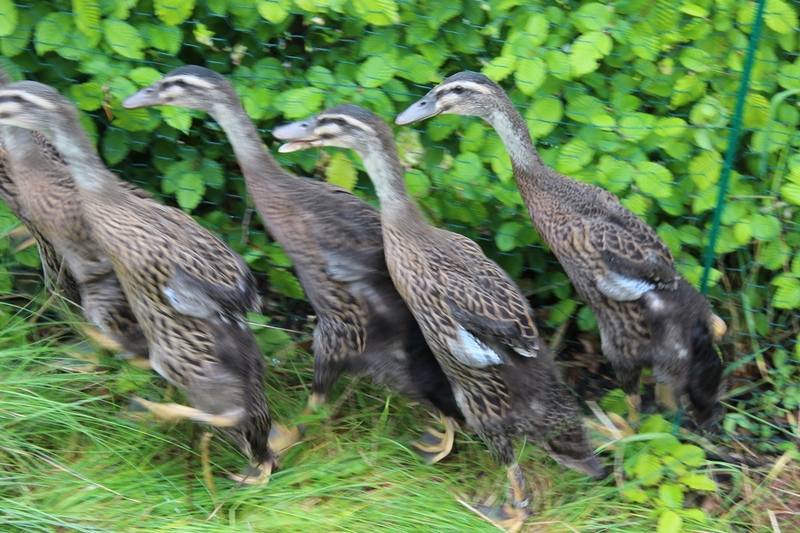 This entry was posted in Competition and tagged Absolute Privacy, API, Bambino, Big Data, Business Intelligence, Charlie Chiemo, Dashboard, Stupid by Design, supFriends on November 13, 2014 by Charlie Chiemo.